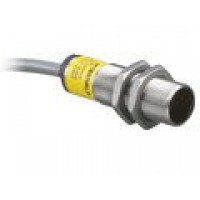 Turck Inductive sensors serve for wear free and non contact detection of metal objects. They operate with a high frequency electromagnetic AC field which interacts with the target. With conventional sensors, this field is generated by a LC resonance circuit with a ferrite core coil. Uprox inductive sensors operate on a new detection principle. In addition, due to their ferrite less 3-coil construction, they incorporate features which provide them with significant advantages for a wide range of applications compared to conventional inductive sensors. 40 mm rectangular inductive plastic sensors are available with quick disconnect in Eurofast, Microfast and Minifast series.